Email marketing is hard. But it doesn’t have to be! With Constant Contact, you can help your clients drive more customer to their door. This solution is powerful, easy to use and affordable for all types of business owners. They won’t have to spend a lot of time or money to get big results. Every account comes with great-looking email templates that are mobile-responsive and can be easily customized to match any brand. 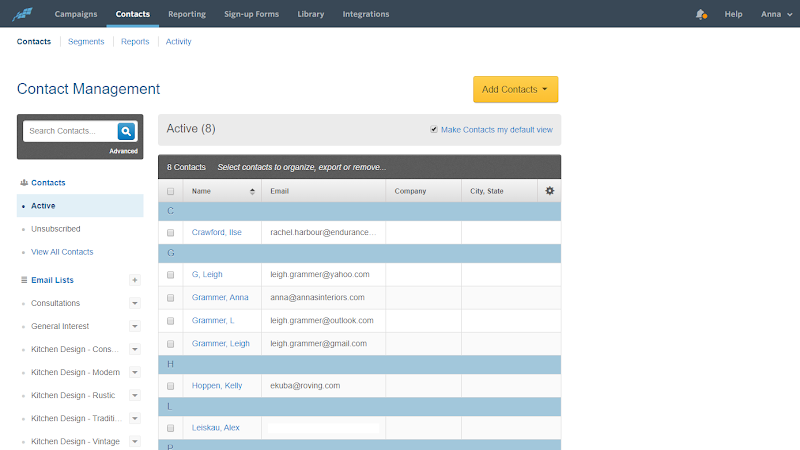 With list management tools, your clients can grow their email list and sync contacts with our integration. And with real-time reporting, results will always be measurable. Emails designed to engage. 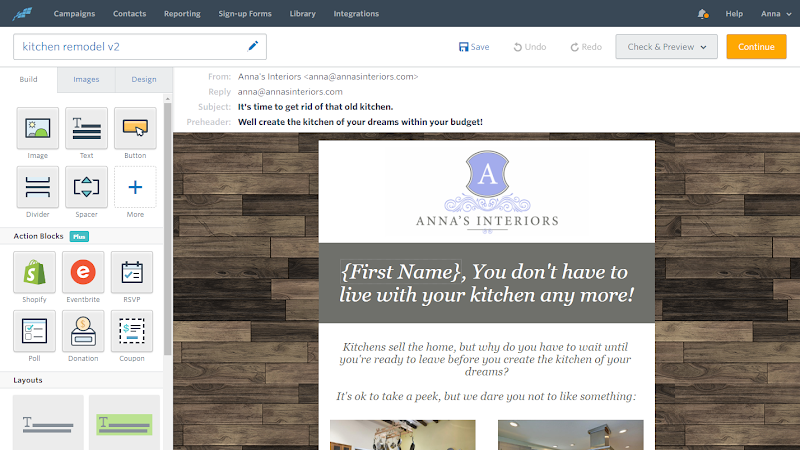 Our modern, mobile-optimized templates and drag-and-drop editor make it easy to create, customize, and send emails that engage customers on every device. More contacts, more customers. Your clients can collect email addresses on their website, from Facebook, through mobile, and more—so the business reaches more and more people. High-fives in real time. Track success with real-time reporting and robust analytics, so your clients know who’s opening what and which emails work best. 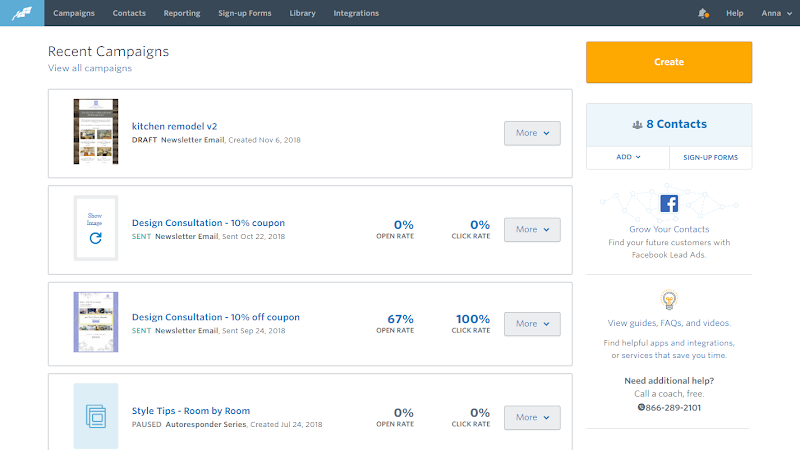 Add more impact with integrations. 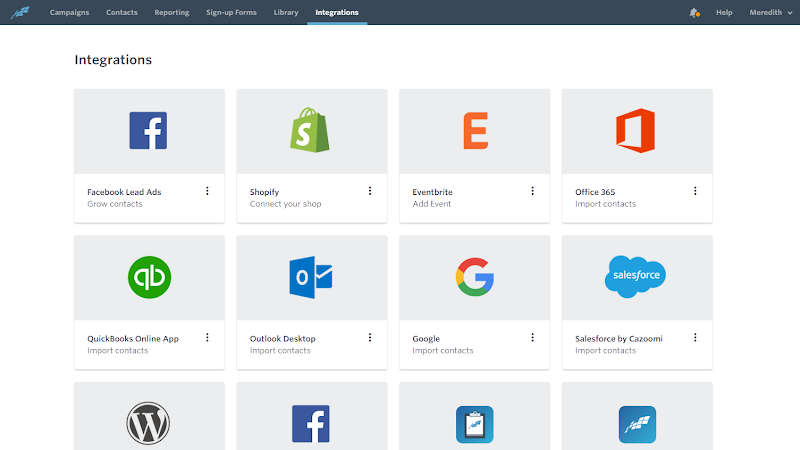 Unleash the power of the business—and drive more revenue—by integrating Constant Contact with the tools your client is already using, like Shopify and Quickbooks. Best of all, you’ll never be alone. Expert advice and award-winning support are always on hand with product support and marketing advice. See all the great things Constant Contact can do for you and your clients' business. 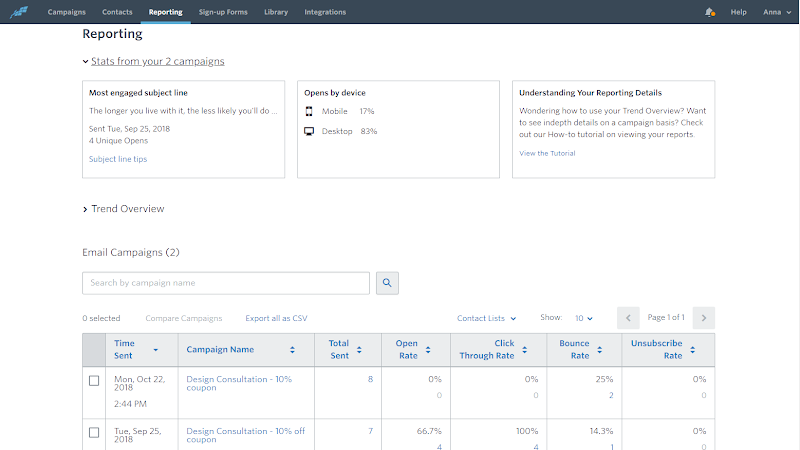 Need a little extra help managing the back-end of your email marketing campaign? Must have access to Marketing Services. Requires activation of Constant Contact. Our Marketing Services team will manage the back end of your email marketing campaign by monitoring unsubscribed emails, managing bounced emails, and segmenting your lists, . Let our skilled team work for you, under your brand, to help your clients' campaigns perform their best! A single monthly email campaign, complete with custom design and content to give you a digital marketing edge. Access to Marketing Services is required. Requires activation of Constant Contact. A small business owner is busy managing the day-to-day operations of their business that they may not have the added time it takes to manage a successful email marketing campaign. It’s worth the investment, though, because email marketing is one of the most effective tools to help your customers scale their small businesses. That's why our in-house experts work with your clients to understand their unique needs and tailor their mobile-friendly email marketing campaigns to suits their specific requirements. Whether your client needs promotional material or simply need an opportunity to update their contacts on upcoming events, our team will work closely with them to ensure these needs are met. Give your clients the best digital marketing edge with a managed email marketing campaign! Special occasion? Have our team create a one-time email to send to your customers. Our Marketing Services team will create a one-time custom email to deliver to your customer list. Whether your client has an impromptu promotion that they'd like to send to their customers or they simply want to wish them Happy Holidays, our Marketing Services team will create a custom one-time email for your client's business. Everything you need to create professional emails that drive real results for businesses. Plus, powerful features that go beyond the inbox. 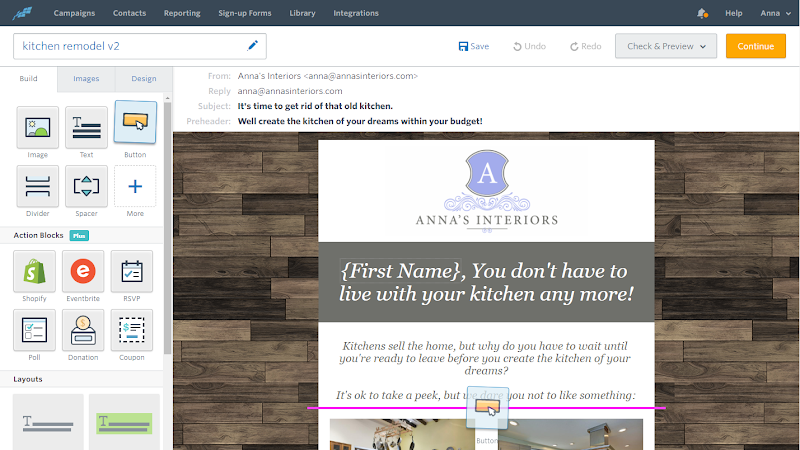 Our modern, mobile-optimized templates and drag-and-drop editor make it easy to create, customize, and send emails that engage customers on every device. Your clients can collect email addresses on their website, from Facebook, through mobile, and more—so the business reaches more and more people. Keep all work in one secure place with cloud storage. Access and share with teammates whenever needed—from a computer, phone, or tablet. Track success with real-time reporting and robust analytics, so your clients know who’s opening what and which emails work best. Expert advice and award-winning support are always on hand with product support and marketing advice. See all the great things Constant Contact can do for your clients’ business.